Physical characteristics: The painted buttonquail is a large species 6.7 to 9.1 inches (17 to 23 centimeters) in length and 1.9 to 4.7 ounces (53 to 134 grams) in weight, with the female significantly larger than the male. The painted buttonquail is generally red in color with a gray breast and red eyes. 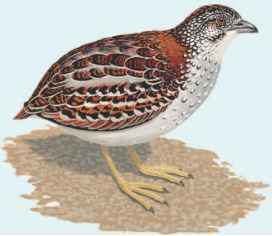 Geographic range: The painted buttonquail is found in eastern, southeastern, and southwestern Australia, on islands off the coast of southwestern Australia, and in New Caledonia. Habitat: The painted buttonquail is found in diverse habitats from grassland to grassy or open forest, and in grassy clearings within dense forests. Diet: The painted buttonquail eats seeds, insects and other invertebrates, and green plant shoots. Food is found by scratching on the ground. Behavior and reproduction: Reproduction occurs in late winter to autumn in southern and eastern habitats, and all year round in tropical regions. Female painted buttonquails are sequentially polyandrous. Generally three or four eggs are laid at a time; these hatch after thirteen to fourteen days. The male feeds the chick for seven to ten days. 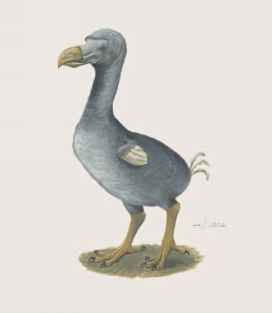 At ten days chicks can fly, and by twenty-three days they are the same size as adults. Johnsgard, P. A. Bustards, Hemipodes, and Sandgrouse. New York: Oxford University Press, 1991. "Button-quails, quail-plover." Bird Families of the World, Cornell University. http://www.es.cornell.edu/winkler/botw/turnicidae.html (accessed on April 1, 2004). "Turnicidae (Buttonquails)." The Internet Bird Collection. http:// www.hbw.com/ibc/phtml/familia.phtml?idFamilia=42 (accessed on April 1, 2004).